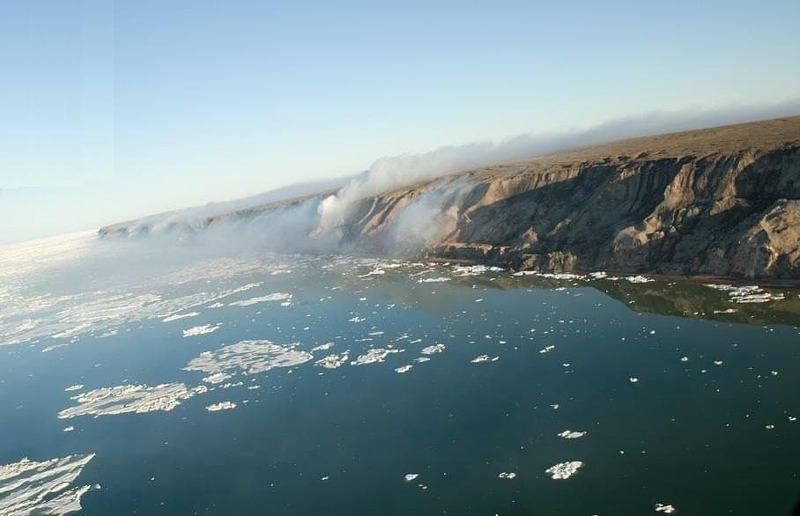 Spontaneous fire appears to be a pretty rare natural phenomenon, but scientists have proven it is actually pretty common above and below the Earth’s surface. 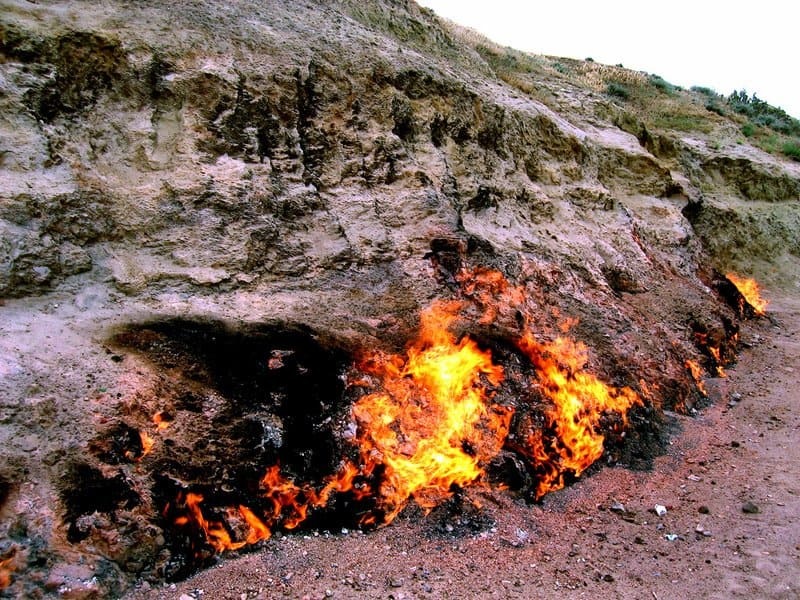 Underground coal or gas tends to feed these ever-burning fires, most of which cannot be put out. 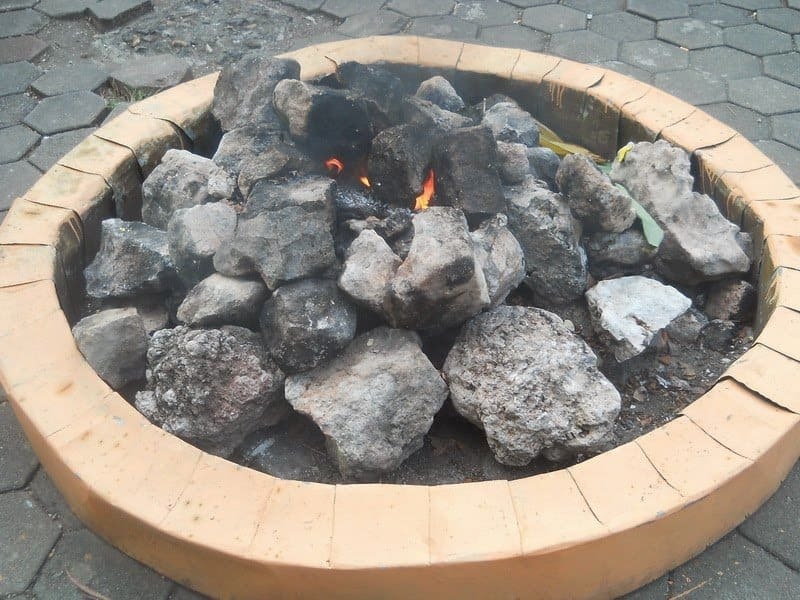 Science has started calling them “eternal flames” as most have been burning for centuries at a time. They are pretty odd. 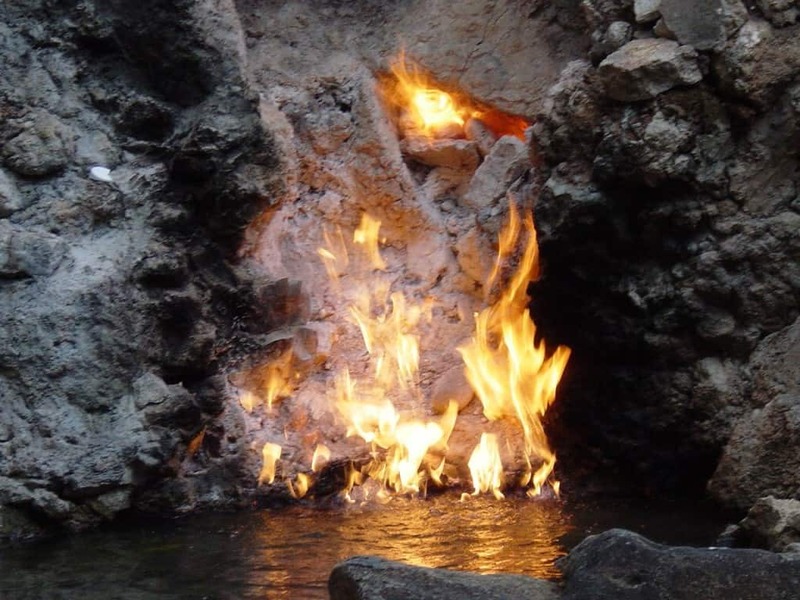 Here are ten weird natural flames that no one can put out, and maybe somewhere where you should plan your next vacation! 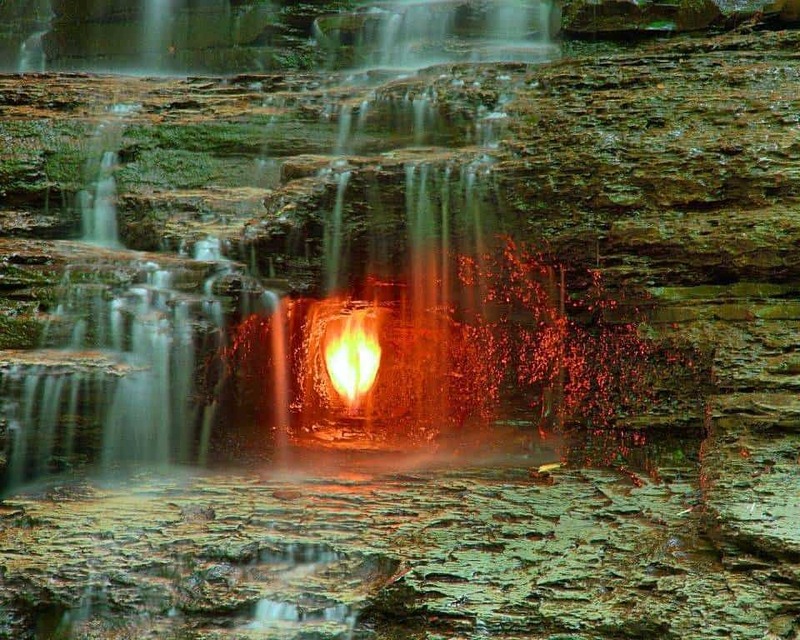 Located just behind a flowing waterfall in the Chestnut Ridge Park, Pennsylvania, a strange flame continues to burn just near the water. It is both beautiful and odd, considering it can be seen by tourists through the floods. 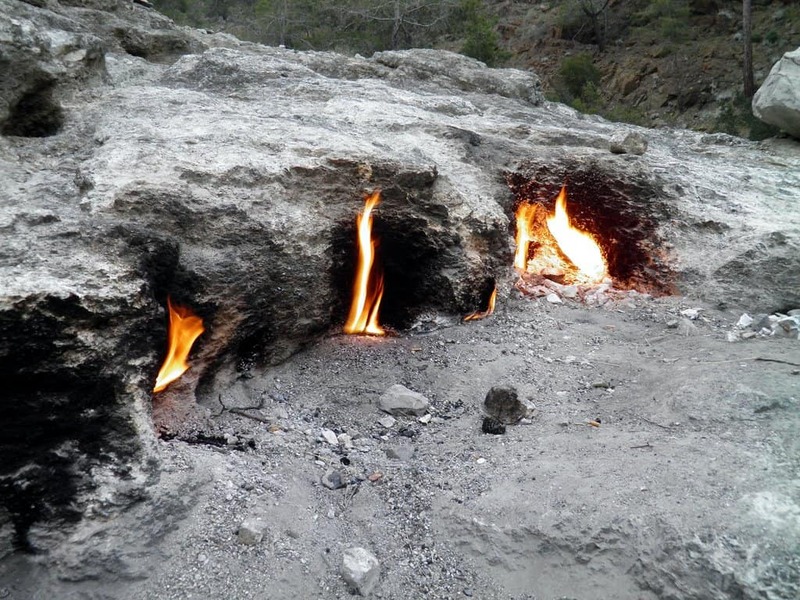 Mount Chimaera, near Antalya, Turkey, currently houses an eternal burning flame that comes from gas seeping up through the ground. The mountain is the home of the myth of the Chimera. The fires have burned for the past 2,000 years. 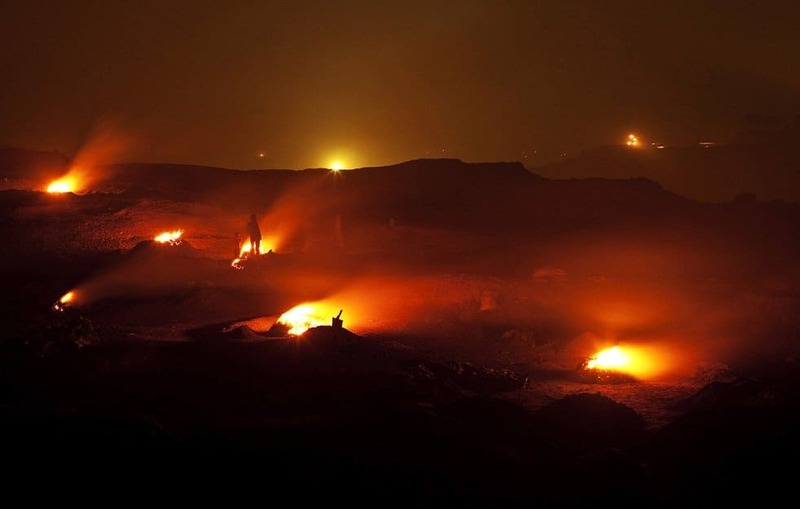 The Jharia Coalfield, in India, is the biggest coal mine fire in the entire world. There are currently 70 different coal mines burning, with thousands of tons of carbon dioxide being pumped into the atmosphere each year. Burning Mountain, or Mount Wingen, is from an underground coal fire that has been going for the last 6,000 years. The fires move about 3.3 feet every single year, heading south. 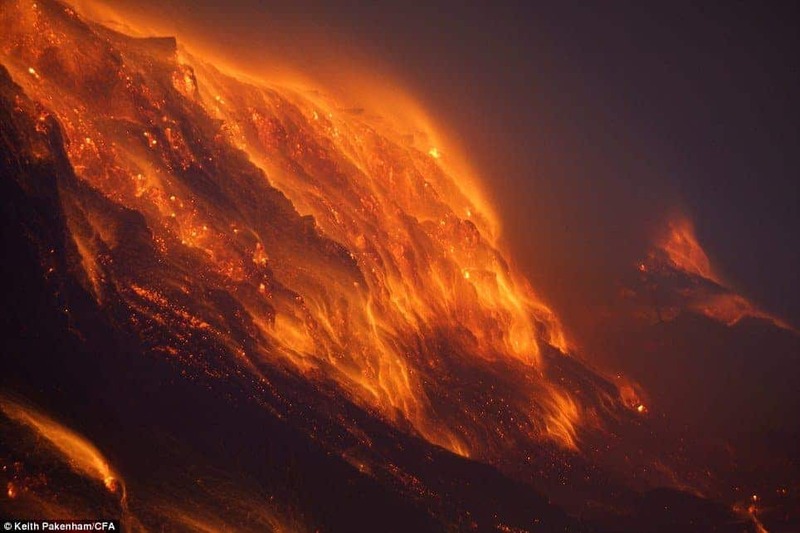 Eventually, these fires may reach Sydney, Australia, albeit in about 200,000 years. The Smoking Hills were first discovered by John Franklin in 1826 while on an expedition. The hills are made up of hydrocarbons and have been burning for centuries. The Water And Fire Cave in Taiwan is rather impressive as it is a mud volcano and natural spring combined into one. The cave is housed near the Biyun Temple, where burning gas has been going for over 300 years. In an old Indonesian legend, there lies the village of Manggarmas, where a group of monks were tired and came to rest. Sunan Kalijaga stuck his stick in the ground, and ended up bringing up flames. This flame has become sacred, and burns even today. The Brennender Berg is a burning coal seam in Saarland, Germany, that originally ignited in 1688. Since then, the fires have been burning nonstop. No one is quite sure why the fire originally burned, but we do know the intensity has since diminished quite a bit. 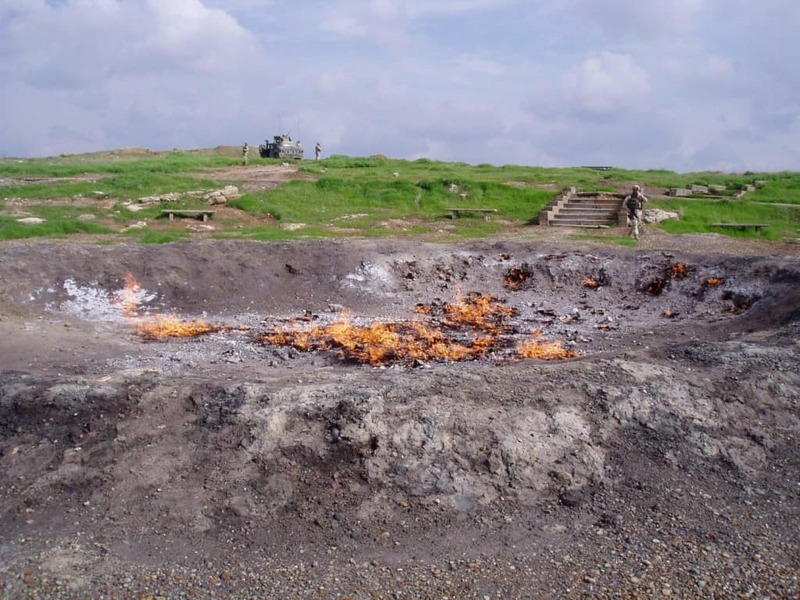 The Eternal Fire Of Baba Gurgur is located in an oil field in Iraq. It was originally created by natural gas percolating through the rocks underneath, but the local legend claims it was for shepherds warming their herds. 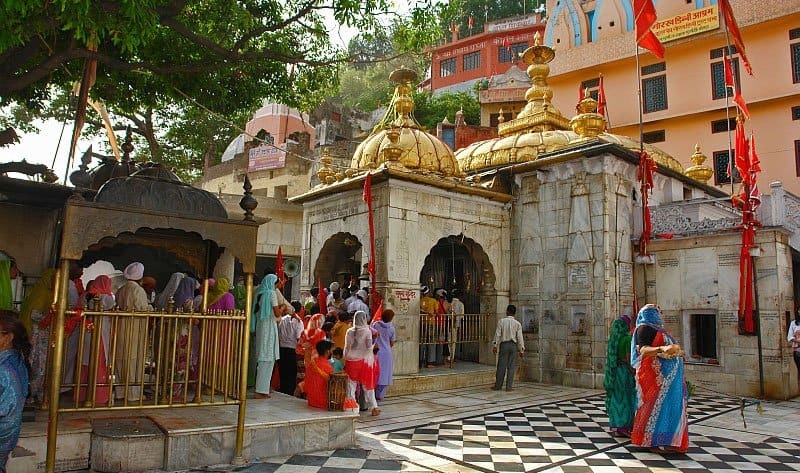 The Jwalamukhi Temple houses an eternal flame that burns bright blue. It comes from natural gas seeping through the rock temple, and is quite small. Thousands visit every single year, bringing their own gifts for the flame.